Extrusion technology and know-how focusing on carbon electrode production through extrusion. 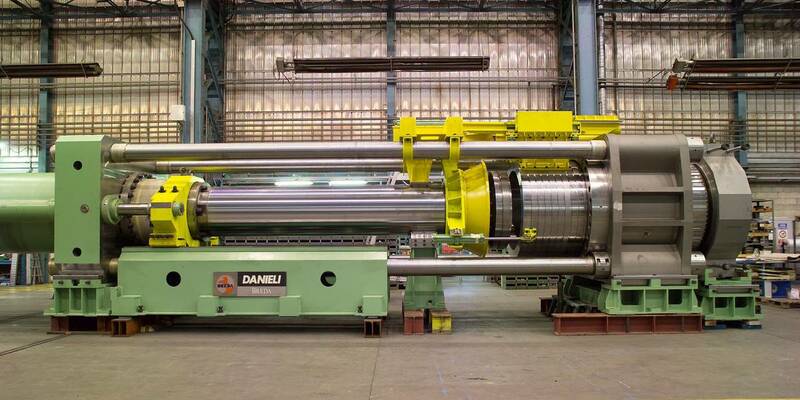 These machines are horizontal extrusion presses in four tie rods design. Raw material is loaded through an opening in the container walls; this opening is equipped with a pneumatically sealed hopper capable of filling the container during the time frame available every two/three press cycles. Fast-changing dies are assembled onto the container by a hydraulically opened split clamp. Auxiliary jacks are also provided to unlock the clamp manually. A closing plate is hinged by a pair of rods to the crossbeam; it holds the container so that after the filling procedure the closing plate can be lowered below floor level, thus clearing the space for the shear to cut the electrodes to at the desired length. The closing force can be adjusted to suit the die diameter. Electrode presses are equipped with a vacuum powered extrusion system reaching a 50 Torr vacuum level in 15 seconds. The system includes a vacuum generation unit with liquid-ring pumps. Electricity, steam, superheated water or diathermic fluids can be used to heat the container, dies and stem head according to the Customer’s requirements. 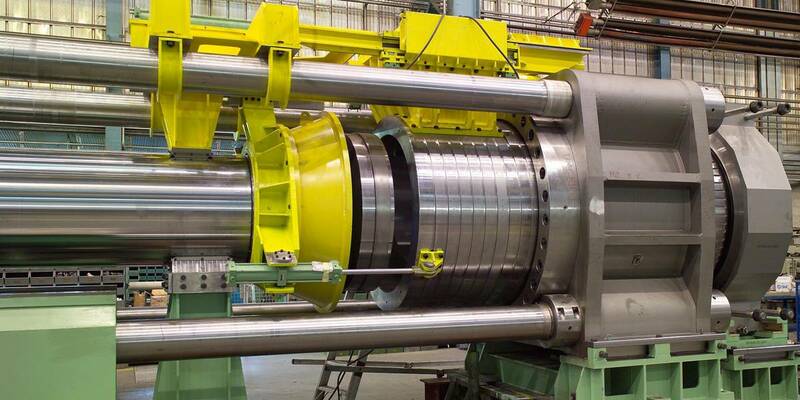 An electrode-cutting shear is also part of our scope of supply. The shear is mounted onto a trolley where the electrode is delivered from the die and deposited into a cooling tank. The production cycle is completely automatic from loading the raw materials to delivery of the finished electrodes. The amount of raw material loaded during a single cycle depends on the diameter and length of the electrode to be extruded. The PLC calculates this amount exactly to ensure there is no unextruded material in the container at the end of each cycle. Production data (i.e. number of electrodes, cycle time, etc..) and specific weight of the finished product are made available at Level 1 automation. 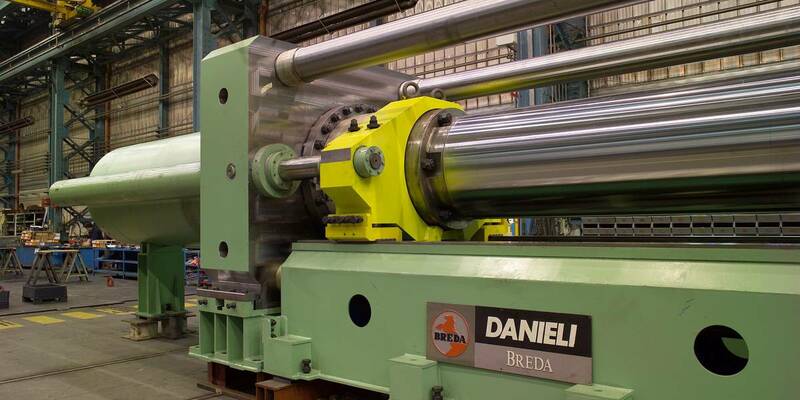 Our presses can produce electrodes with diameters up to 800 mm and with specific pressures ranging from 180 to 300 kg/cm2 depending on the type of raw material to be extruded.